Buying gold in Vancouver is just as easy as buying the precious metal anywhere else. The number of dealers and gold shopping boutiques in the Vancouver area makes it relatively easy for one to find the type of gold that he would like to buy. These shops offer gold in the form of coins, bars, jewelries, and even souvenir items that it will definitely be odd if you cannot find one that you really like. 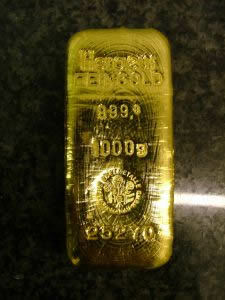 They have a variety of available gold products ranging from the more simple gold bar to elaborate gold jewelries. Having a branch of the Royal Canadian Mint makes it truly exciting to choose the type of gold or gold souvenir that you would like to buy. One of the best places to get your gold stuff is through the Royal Canadian Mint which is the main producer of all coins in Canada. The Mint has a branch in Vancouver at 752 Granville St, Vancouver, BC. The boutique offers collectors coins such as the newly minted commemorative coin of the recent royal wedding, bullion coins and also medallions and other gift items made out of gold. They also have sets of gold coins which make for a conversation starter when you are having guests over at your house. But of course the best that they have is the Canadian Maple Leaf which is one of the most sought-after item due to their exquisite design and their gold value. It is said to be one of the purest forms of gold coin which adds to its value. Another place to buy gold from when in the Vancouver area is the Vancouver Bullion and Currency Exchange. This is said to be one of the most reputable places to buy your precious metals from and also one which offers the best value for metals. As of now, the price of a gold bar is US $1, 729.00 for a one-ounce bar, $55, 203.00 for a one kilogram bar, and $1, 767.00 for a Canadian Maple Leaf which is 999% gold and is widely considered one of the best coins for investment purposes in the world. There are also other specialty shops in the market which sell jewelry items and even gold coins and gold bars in Vancouver. Some of these are the Vancouver Gold and Silver Buyer which is located at 1000-355 Burrard St, Vancouver, BC V6C 2G8, the Vancouver Bullion & Currency Exchange Ltd at 120-800 Pender St W, Vancouver, BC V6C 2V6, the Atson Jewellery & Gold Ltd and J & M Coin & Jewellery which can be found at 127 Broadway E, Vancouver, BC V5T 1W1. These shops will offer you a variety of designs and coinages from various mints all for a reasonable value. 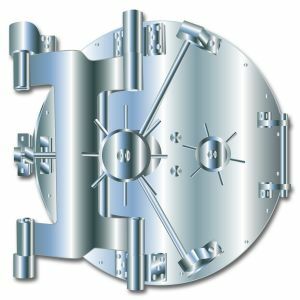 Buying precious metals in Vancouver is definitely one of the most exciting ways in which you can buy your metal investments. You can directly go to the mint which makes the coins that you are buying at the Royal Canadian Mint or through some of the shops and dealers which offer you a variety of gold items to choose from.